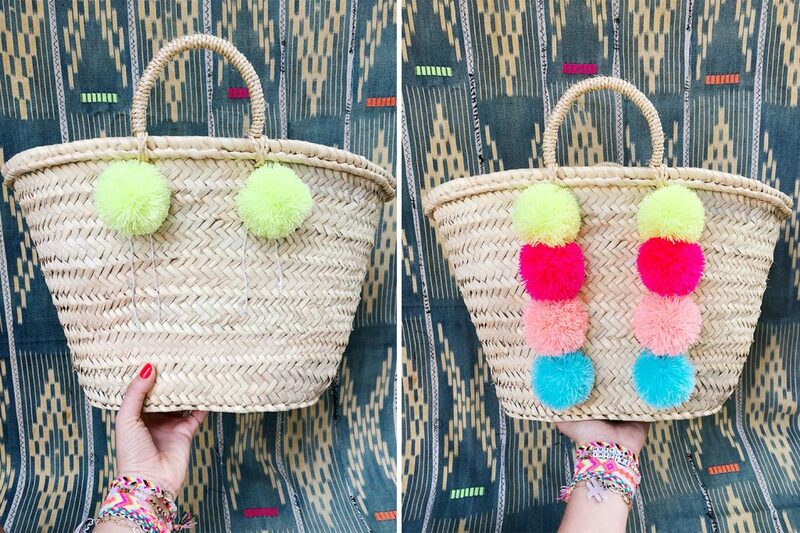 You’ve seen these fun summery tote baskets everywhere — now learn to DIY them using your favorite color pom poms! 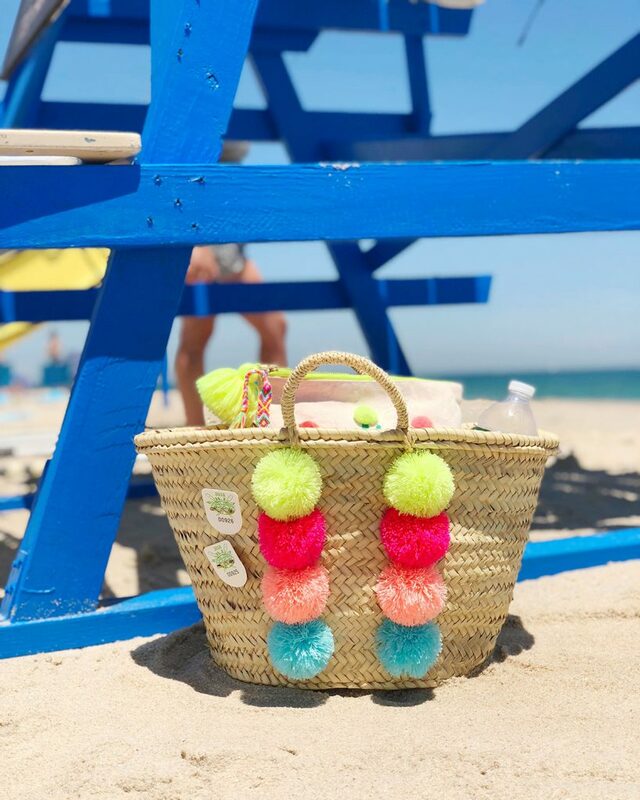 In the past year or two, pom pom baskets have gone from playful accessory to summertime staple. It seems every boutique is carrying a version of this cheerful tote, but oftentimes for much more than it would cost to make yourself. 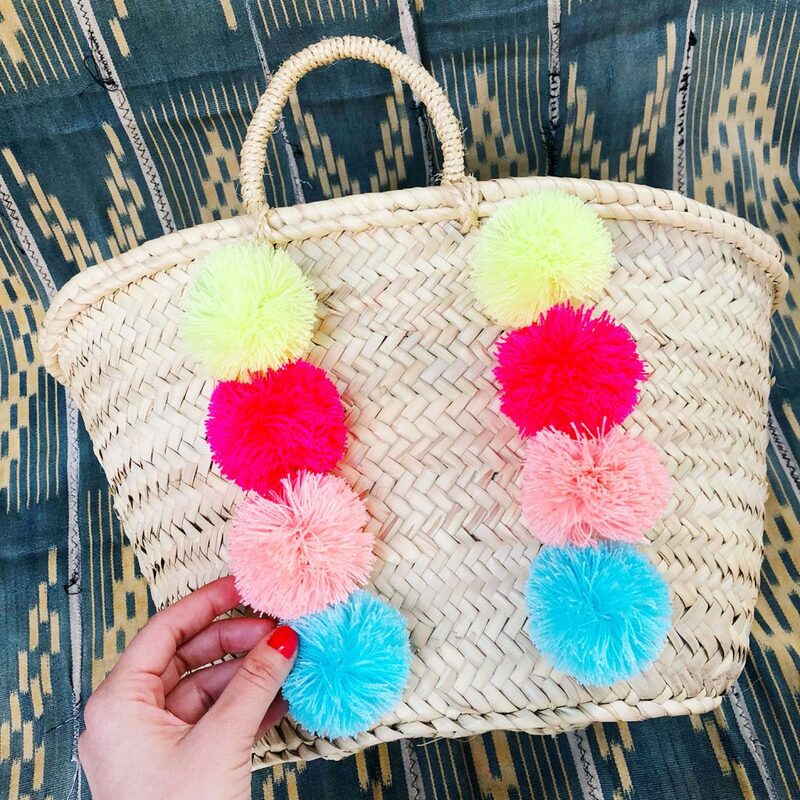 Luckily, with a few key supplies and our totally FREE pom pom lesson, you can whip up this versatile tote (or any variation of it you please) in a snap! 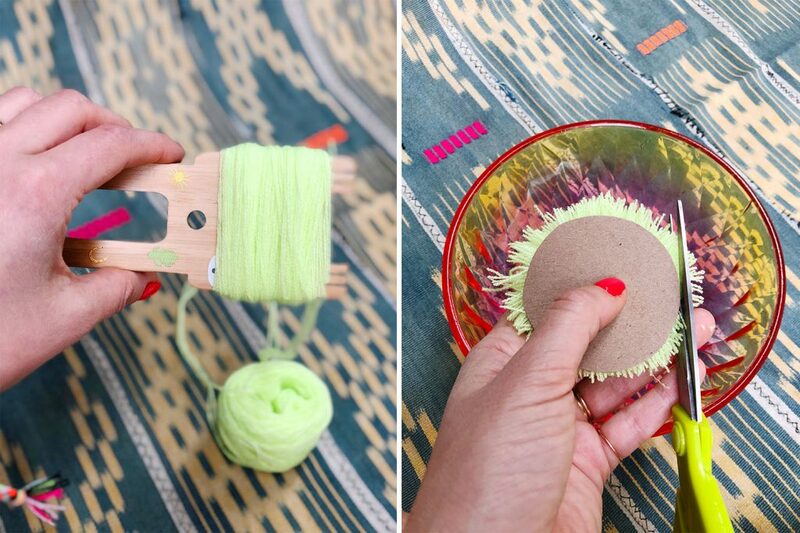 Start by making a 2.5″ (diameter) circle trim guide for yourself using the chip board or cereal box, the 2.5″ circular object to trace, a pencil and scissors. 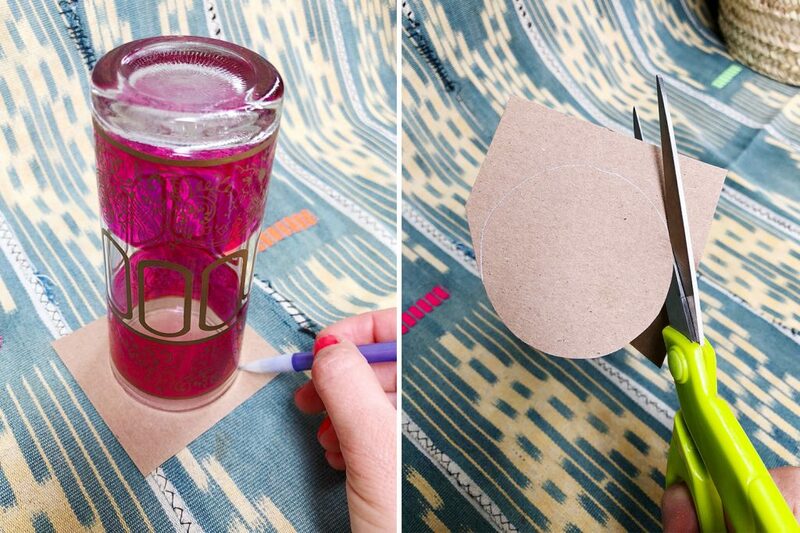 Cut out the 2.5″ circle. 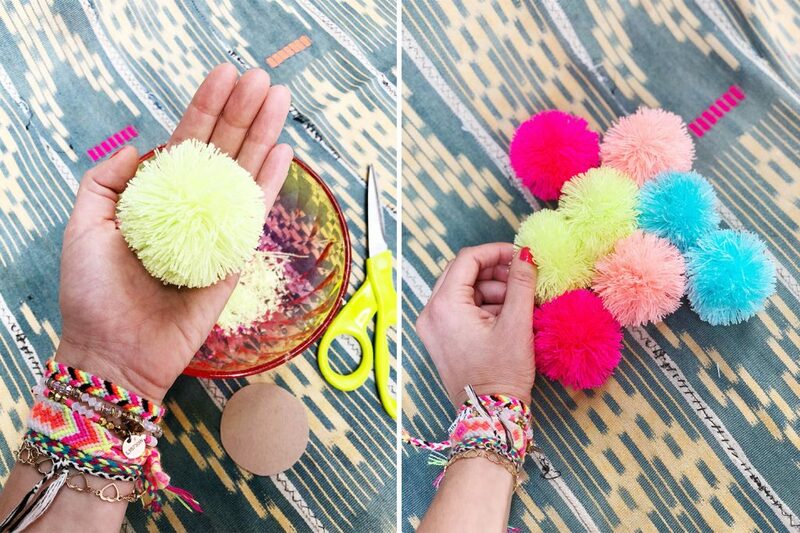 Next, watch our free pom pom lesson to learn how to wrap, tie and trim your pom poms using a Loome tool. The pom poms in this project call for a total of 120 revolutions (or the inside and outstand strands of yarn wrapped 60 times simultaneously) wrapped on the wide (2.25″) side of the Loome. Follow the trimming instructions in the video tutorial using your 2.5″ trim guide. Voila! 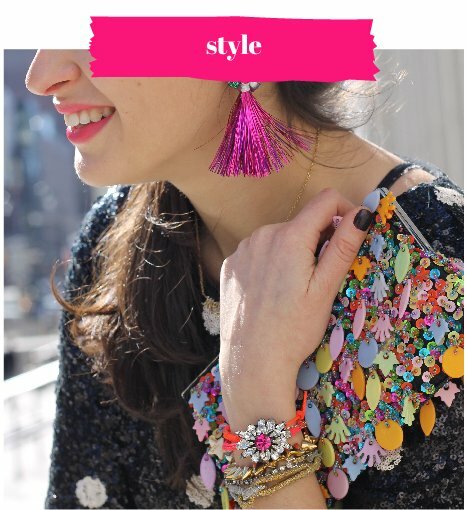 A beautiful, bright and shaggy pom pom! This project calls for eight total (four colors x 2). 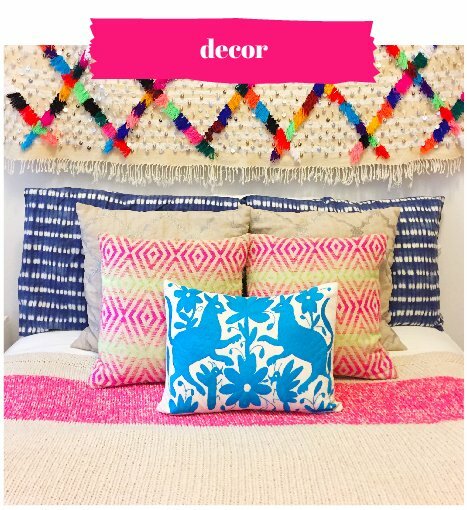 We’re using yarn colors pale neon green, neon pink, pale neon coral & aqua from our “choose your colors” Pom Pom & Tassel DIY Kit. 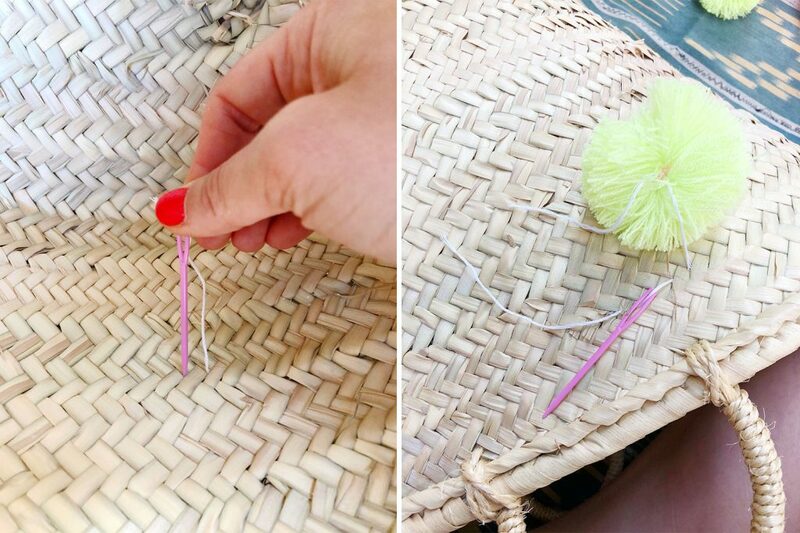 Plan your pom pom placement on your basket. 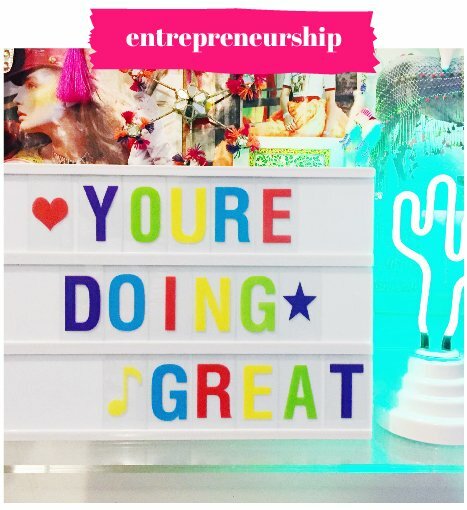 If you like, you can use a marker to mark your pom pom placement. 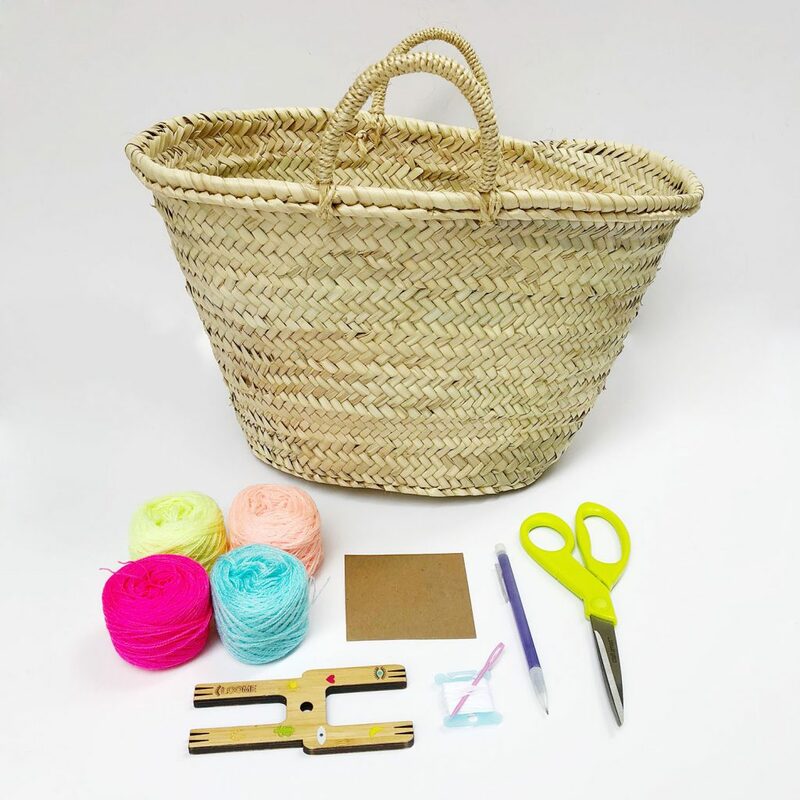 To ensure a clean finish on the inside of your basket, locate the tail dangling inside and sew it also to the front of the basket. 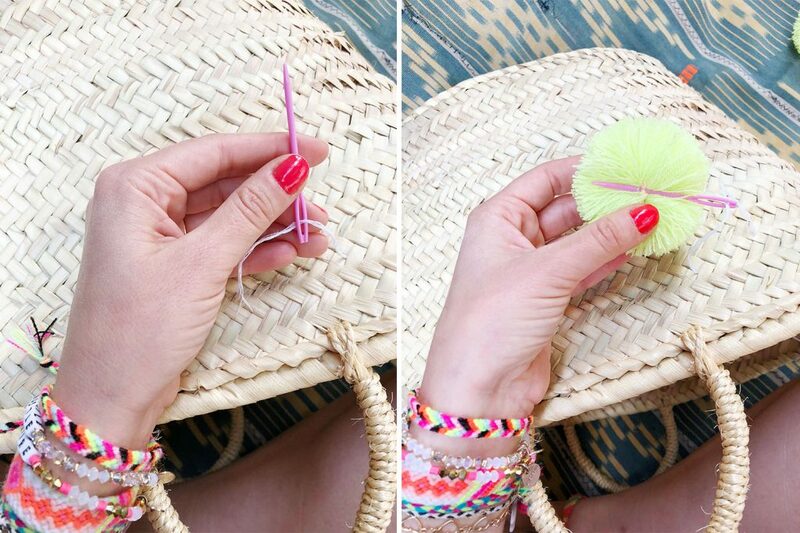 Next secure your pom pom to the basket by tying 2-3 knots between the pom pom and the surface of the basket. Trim off excess embroidery floss. 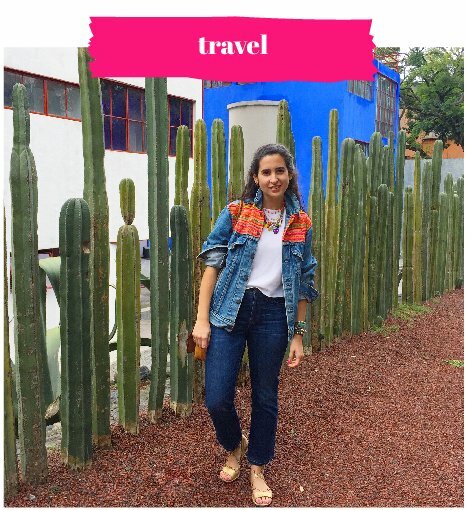 If you’re following this design, you can add the top two pom poms first and make sure they’re even before securing the knots and trimming the excess embroidery floss. Repeat these steps until all pom poms have been added! So simple, right?! 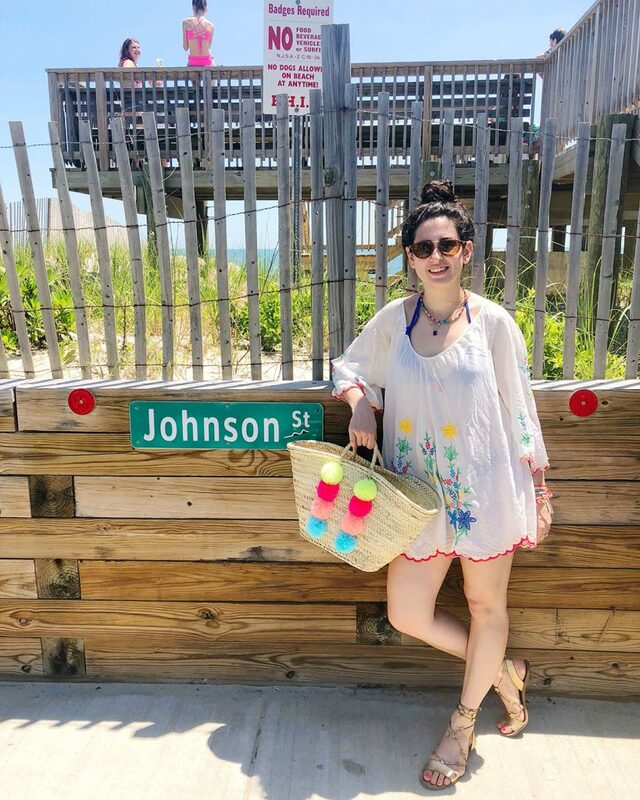 I take this tote literally everywhere: the beach, the farmers market, picnics, weekend trips and even just to lunch with friends. 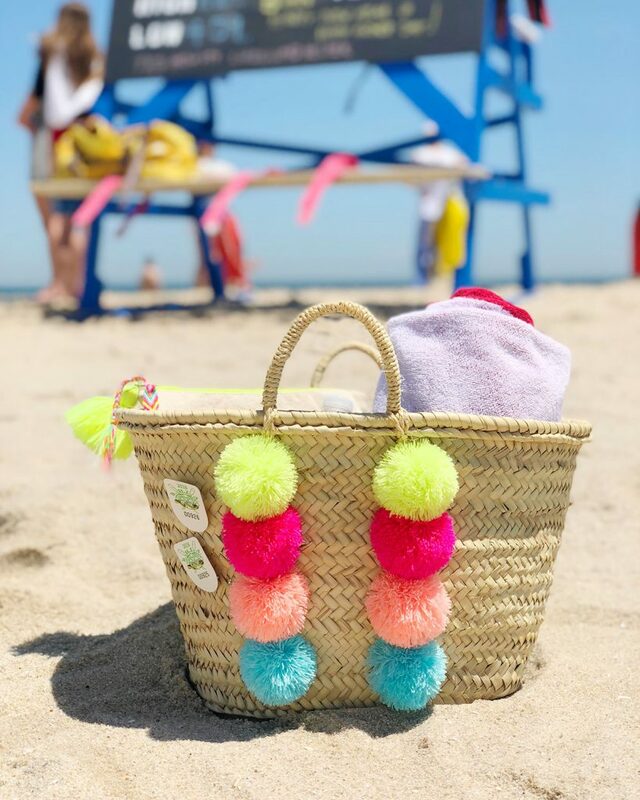 This adorable basket is just one of a zillion summer-perfect accessories you can create with pom poms. 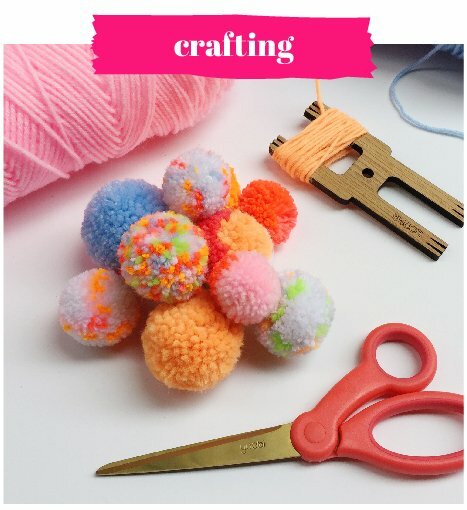 Be sure to watch our free pom pom video lesson here to learn the three easy steps to make pom poms you can put on everything under the sun. Questions? Leave ’em in the comments below!